As it is the elephant in the room at contract renewal, it seems only fitting that CUK has left the thorny issue of requesting a rate increase until last; having already dealt with the agency pleasantries and formalities of extending your contract, and the motivations to extend. When it comes to renewal, the agency is starkly reminded of its margin – which it will want to protect – at odds with the contractor who typically wants to erode it, says Jeff Brooks, of IT jobs agency Prime Sourcing. Good agencies head off this potential war of words by managing the daily or hourly pay expectations from the outset of the contract. Done properly, this gives the contractor a firm indication of when a higher rate will be considered from the very first day of their contract. However if during the course of the contract, the contractor is handed a lot of extra duties, or more responsibility, then the contractor’s pay expectations should evolve. At this stage, it is down to the agency to represent the contractor’s argument for a rate rise to the end-user. Yet almost regardless of why a contractor feels they deserve a rate increase, they should ask themselves if, as a small business, it is financially viable or advantageous for them to stay in the contract assuming their request will be turned down. “It’s a business decision that needs to be taken by the contractor as a small business owner, as that’s what he or she is,” said Mr Brooks, chairman of the IT sector group at the Recruitment and Employment Confederation (REC). 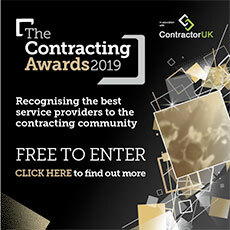 Even if their answer is not entirely positive, contractors should refrain from trying to bypass the recommended process and channels if they want to extend on condition of a higher rate, says IT staffing firm Outsource UK. But he said contractors should speak-up, to their agent, if they discover that a contractor at the same end-client, using the same agency, is on a much higher rate for an almost identical role. The agent is obliged to respond by raising the issue with the client, to prompt a further discussion or negotiation, which the lower-paid contractor can request they be involved in or at least privy to. Adrian Treacy, managing director of IT staffing firm Arrows Group, agreed that the agent in question should be notified if two similarly skilled contractors, placed by a single agency, on similar roles are on markedly different rates. However contractors comparing their rates with those of other contractors in their IT department can lead to difficulty; so much so that he urged contractors to pose themselves three questions before broaching the issue to their agent. Peter claiming he’s paid less than Paul for what appears to be the same IT contract or role is a notoriously tricky equation for agents to solve, confirmed Brooks. But he cautioned that some less reputable recruiters actually initiate such a disparity themselves. “If the role demands and is worth a certain rate, then the contractor should be expected to be paid that rate,” he explained. "Yet there are some agents who accept the contractor’s lowest pay request. In the event that a contractor suspects he has such an agent, Brooks recommends that they should remonstrate with the agent and express their concerns in as professional manner as possible. However, keeping relations on a healthy footing is advised because the contractor might later ask the agent to put a testimonial to the client on the contractor’s behalf for a higher rate, in the light of, say, knowledge transfer to permanent staff. “The agent should represent the contractor on knowledge transfer, but it should also be self-evident to the client, who has the power to move the rate. After all, it is the hiring/line manager and other client staff who will know if the contractor truly stands out for the right reasons because it is them, not the agent, who sees the contractor most often. - And most controversially, resist the need to round up your bill to the nearest hour. Contractors' Questions: Am I entitled to a rate rise?